This ZE04BA3 LED Module is powered by high output SMD2835, 4leds in one module, and dimension is 45*43*6.2mm. 170°beaming angle with even light. 20pcs per string, 1000pcs per carton. Acidic or alkaline adhesive is forbidden when install, neutral glass cement could be used for installation purpose, make it drying in open environment for four hours. Make sure the power wire is thick enough and ensure the voltage and connections are connected correctly before power on. 20 pcs in a serial connection maximum. The power wire between power supply and module should be less than two meters to keep the same brightness on all parts. Looking for ideal 2835 Led Module for Channel Letters Manufacturer & supplier ? We have a wide selection at great prices to help you get creative. All the 100lm/w LED Module High Efficiency are quality guaranteed. 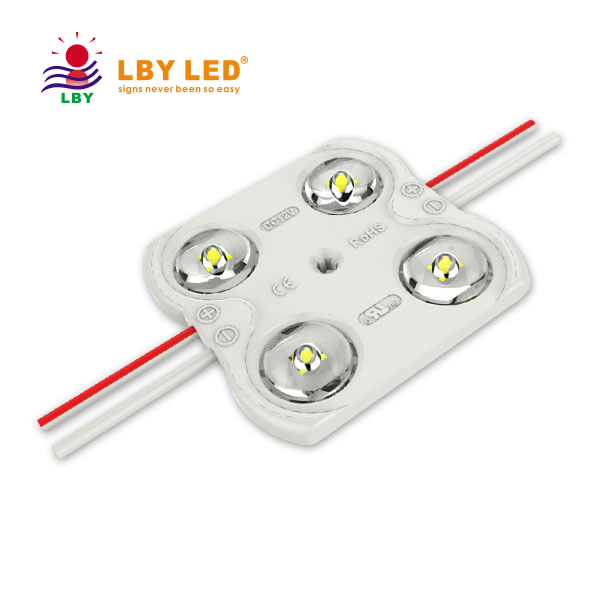 We are China Origin Factory of 4-LEDs LED Module 5 Year Warranty. If you have any question, please feel free to contact us.